Johnny Mak's Long Arm of the Law is widely acknowledged as a forerunner of the heroic bloodshed genre. 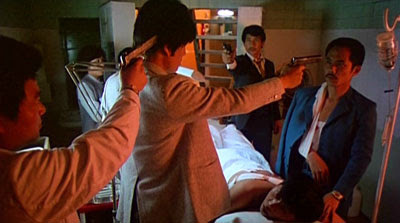 It was made two years before John Woo's A Better Tomorrow blazed it's way on to Hong Kong cinema screens. Mak's film shares some genes with Woo's film but approaches from completely the opposite end of the spectrum. Where A Better Tomorrow romanticised it's characters, Long Arm of the Law presents it's, in as raw and real a fashion as possible. 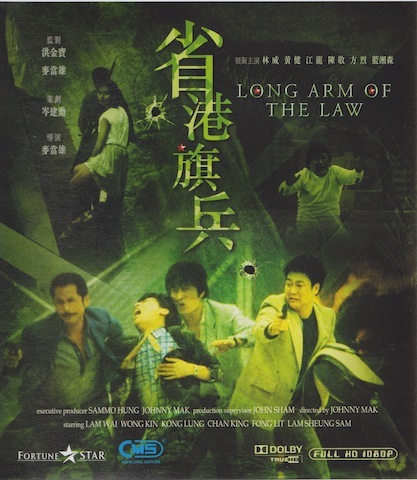 A gang of mainland robbers meet up with an accomplice in Hong Kong, with a plan to rob a jewellery store. When they arrive at the store they discover it has already been robbed and the place is crawling with police, barely escaping, they are forced to lay low and formulate a new plan. With no money and time on their hands they inevitably complicate matters by getting involved with a local gangster who pays them to perform a hit, the situation is further complicated when it's revealed the target was a cop. With no option but to carry out the plan and with the police doggedly on their tail, everything spirals towards the inevitable shootout. 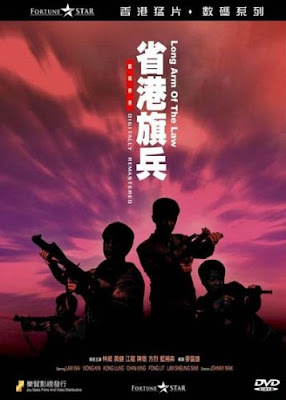 Much is made in the film of the camaraderie between the gang members, with a one for all, stick together attitude that quickly crumbles in the face of the situations they find themselves in and the choices they make within those situations. 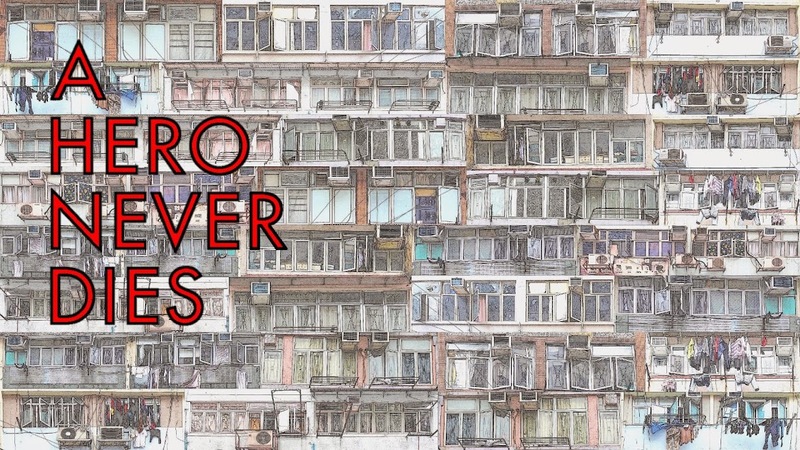 The screenplay makes much of the idea that they have no option but to make these choices, that the life they have in China is no life at all, Hong Kong's glitz, glamour and riches are just too much to resist for these poor country folk. Characters that appear at first to be everymen, suddenly flick a switch and become these desperate outlaws, capable of anything to get what they want. The movie shows great skill in shifting the focus between these viewpoints to avoid losing all audience sympathy. The police are shown in an equally poor a light, with a definite shoot first, ask questions later policy resulting in a number of casualties. The action sequences in Long Arm of the Law are stunning, with superbly executed set pieces, culminating with a tremendous shootout in the now long gone Kowloon Walled City, a maze like slum of narrow alleyways that offers a wonderfully cinematic setting for the finale. I was taken aback by just how great the action is in the film, the violence is very strong, shocking in places and it packs a real punch. Only a couple of overplayed stunts take away slightly from the otherwise documentary like feel Mak creates. Don't be under the misapprehension this is just another shoot'em up action film however, it has depth and is much more than just exploitation fare, although it functions equally well in that regard also. The cast consisting of mostly (with one or two exceptions) relatively unknown or even amateur actors, all acquit themselves well, the characters, while hardly complex are enough to not only involve you in the story but keep you completely gripped throughout the film's running time. If I have a criticism of the film, I would have to say for such a dark and nasty piece of work, there are a couple of awkward comedy moments that are completely out of place, and worse still they even have comedy stings on the otherwise very effective and sombre John Carpenter style score. 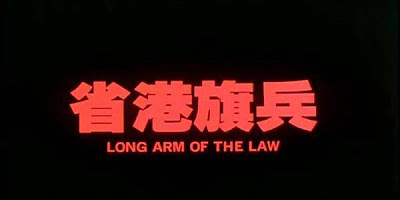 Long Arm of the Law is such an influential film and while it may not have kick started the heroic bloodshed craze, it certainly informed many of those films and is significantly better than most of them. The film was followed by three unrelated sequels for which Mak handed over directorial duties to his brother Michael, with him choosing to produce instead, and on the evidence of this film, it's our loss. 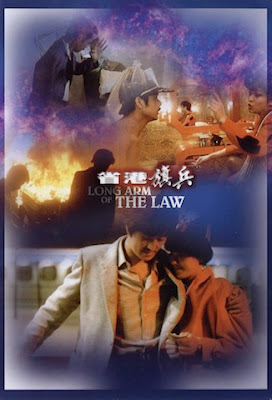 Long Arm of the Law is in my opinion one of the best Hong Kong movies of the eighties and probably one of the best Hong Kong films ever. thanks for bringing this film back from the grave! It's cool to see that fortune*star remastered this often overlooked gangster gem! 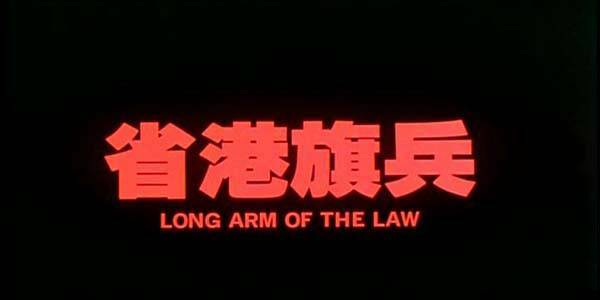 I never did catch the sequels of Long Arm of the Law, though. Thanks mr.c, based on the strength of this film I've ordered the three sequels, I don't expect as much but if they're half as good as this film I'll be happy. Yes you're right I can imagine, it's such a great film. I would have loved to have been there for that screening. Thank you for pointing out my mistake, truth be told I had typed up a rough draught and forgot all about that before posting the review. I did mean to go back and embellish it which I will do now. Man, I need to see this one. You sold me on it. So many movies, so little time! Great review buddy!